Pune, India - January 15, 2019 /MarketersMedia/ — Varicose Veins Treatment Market is expected to grow significantly over the forecast period. It is anticipated that the market held a valuation of USD 415.9 million in 2017 and is projected to grow at a CAGR of 7.4% over the forecast period. Varicose veins are also called as varicose and varicosities. The factors such as growing prevalence of varicose veins, increasing demand for advanced treatment options and growing healthcare expenditure is expected to propel the growth of the market. However, the high cost of treatment and stringent government regulations can hamper the market growth over the forecast period. The global varicose veins treatment market has been segmented into type, product and end user. The market, on the basis of type, has been segmented into endovenous ablation, sclerotherapy, surgical ligation, lase ablations and stripping. Sclerotherapy is expected to hold the largest market share of the global varicose veins treatment market by type, owing to its simple follow up treatments, no need of anesthesia, no scarring and favorable reimbursement policies. Endovenous ablation is expected to be the fastest growing segment owing to its high preference over the conventional procedures like stripping and surgical ligation. The global market, on the basis of product, has been segmented into ablation devices, venous closure products and surgical products. 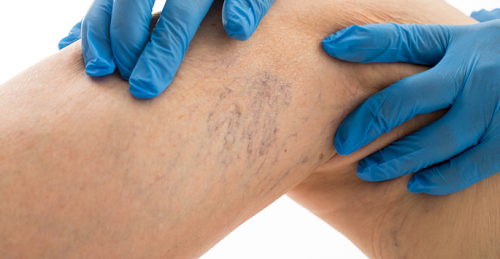 The global varicose veins treatment market, by end user, has been segmented into hospitals, specialized clinics, ambulatory surgical centers and others. Geographically, the Americas is expected to dominate the global market owing to a huge patient population suffering from varicose veins and rising geriatric population. According to a data published by the World Bank, 15.41% people in the US were 65 years and older in 2017. Europe is expected to hold the second largest position in the global market owing to the preference for minimally invasive treatment procedures. Asia-Pacific is expected to be the fastest growing market owing to the increasing healthcare expenditure and growing patient population. Furthermore, the Middle East and Africa region is expected to account for the least market share in the global market.